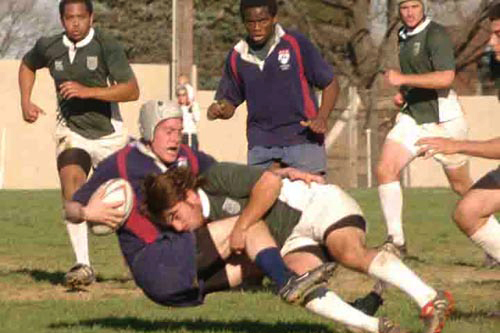 The 2008 Men's Ivy League Rugby Championship tournament will be hosted by Columbia University this weekend. Dartmouth and Harvard are back strong this spring after playing in last year's final. Watch out for tournament host Columbia University, a much improved Yale side and Princeton who defeated Yale just last weekend. The first two rounds of matches will be held on Saturday at Tibbet's Brook Park in Yonkers, NY. The final rounds will be held on Sunday at Columbia's Baker's Field Athletic Complex. After last year's Harvard victory at Brown, what will Dartmouth bring in 2008? In morning action, the Dartmouth v. Columbia match, at least on paper, looks to be the most competitive. Look for tough match-up in the first round game between EPRU rivals Penn and Princeton. Again, on paper, a likely second round pairing between Harvard and Yale may prove to be the key match-up of the entire tournament.